I had to take a week off from writing here in order to focus on resting; I’ve been on the verge of getting sick, and I still am sick. I haven’t had the energy to keep up with everything that I wanted to do, so something had to give. But I’ve had some time to cobble some stuff together, and I’m ready to share some notes of how the last few weeks have gone. Speaking of pizza, I’m back on the All Over Albany Tournament of Pizza judging panel. To a certain degree, I’ve had a lot of fun participating in this in the past, and I think that it gets the conversation going on what kind of pizza is around. Given all of the colleges in the area and thus high density of pizzerias, it’s inconceivable that any one person can speak for every pizza, and while the scope of this doesn’t even reach that far, it at least gives a decent sampling for people who might be curious of what’s around. In the past, I’ve done a post here and there commenting on the judging, and I’m going to try to do that this year too, once it gets going. One thing people tell me is that they want to hear more stories about this; who am I to argue with people? Ohh, those of you who still think DDP Yoga is a bunch of hogwash, listen to this (or read it, whichever works). There’s a lady from the capital region named Stacey Morris who has a very inspiring story in which DDP Yoga plays a large role. After she left a comment on my initial post about DDP Yoga, I made the connection that she was the person in this video. Now, I’m not going to sit here and say that DDP Yoga is the greatest thing ever, or that it’s a magic bullet that will make you well instantly, but it’s definitely something that should grab your attention even for a second seeing that it helped Stacey lose 180 lbs over 2 years, and helped me shed 30 lbs in the last 5 months. If that stuff didn’t get your attention, maybe watching Arthur’s absolutely inconceivable transformation will. 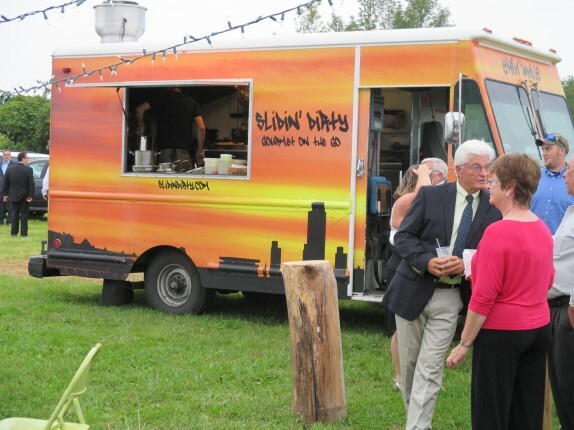 Some friends of ours recently got married way up north in Canton, NY, and the reception was catered by the people who run the local food truck, Slidin’ Dirty. I had never met the nice people who run the truck, so it was a lot of fun speaking with them. Though I was a guest at the event, I tried to help out in small ways by letting them know their platters were running low and by arranging to get some food for the bride and groom. I have a whole lot more to say about this, because I think they pulled off quite the feat catering to the approximately 150 people who were there from just their truck. I picked up the recently released blu ray of Ace Ventura: Pet Detective. This might seem like something so minor it’s barely worth mentioning, but those of you following on facebook and twitter know this is the final step in something I’ve been talking about for a while. I have a DVD copy of the film that is deplorable. It is full screen, matted, in mono, and is missing scenes I know were in the original film. I haven’t read anything about whether these scenes made it onto the blu ray, but, at the very least, I now own a respectable version of the film. That means the public smashing of the DVD copy is probably going to happen. The first official installment of Brilliant Bites was a huge success as far as posts go. I have lots of little things people have whispered into my ear jotted in the notebook, so there’s a lot more of these to come in due time. Of course, I’m always ready to jot something else down, so contact me with some stuff you want to see featured. Remember, this is going to run on peer pressure. There’s still quite a bit to say about Disney, and I’m still working on the derryX Dines post from my birthday dinner at Butter Restaurant, the one where we actually got to speak face-to-face with Chef Guarnaschelli for a decent amount of time. Some other things to look forward to are some derryX Dines posts where I sample some of the Italian-American food from some of the “red sauce” restaurants that saturate the area. In that vein, now that I’ve showed you my base for red sauce, I’m working on a post or two with some things you can do with it. I love your posts and what you cook and think about as far as food goes. There is such a passion for food up in your area that we just don’t have here in the Raleigh, NC area. There is a passion to eat here but it’s difficult to find a decent pizza, a good grinder or even authentic marinara sauce. It’s like being in food prison and it’s nice to know and read about what is prepared beyond these four walls!! 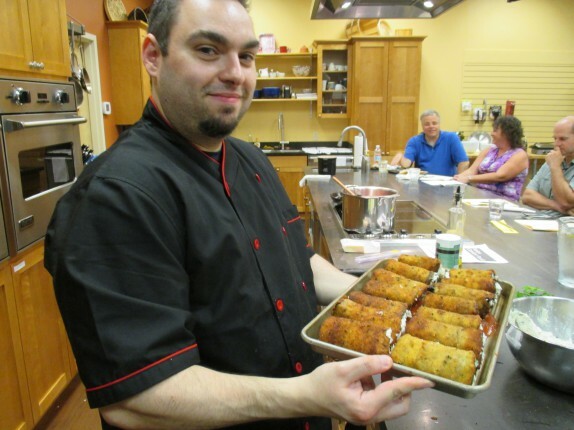 I get emails from DD Kitchen about their classes and am intrigued but haven’t gone…yet. BTW, in your first paragraph you said you won’t be on the schedule again until “2013”. I assume you mean “2014”. Glad you’re writing on the site again. Thanks. That’s what I meant.